The opening of Tate Modern in May 2000 was a strange moment to fall under the spell of the work of the video artist Bill Viola, but I remember it distinctly. Around me a huge party unspooled, with everyone celebrating the arrival of this vast new temple to art. And upstairs, in a darkened room, I sat still for nearly 30 minutes, utterly transfixed by the Nantes Triptych, which the gallery had bought eight years previously. Originally imagined to hang in a 17th-century chapel in France, the work is made up of three screens. On the left, a woman gives birth; on the right, a woman is dying. In between the two states, a body floats in water. The beginning of life, the journey of being, and life’s end. It was a perfect introduction to Viola’s work—and curiously, not so bad a way to discover it. Throughout his career, Viola’s interest has always lain with the numinous, the sense that there is a spiritual other which rises from and yet is part of the everyday. The intensity and directness of his appeal to the emotions has made him one of the few contemporary artists to be genuinely popular with a wide public. In his telling, the filming of one section of the Nantes Triptych—the recording of the death of his mother in 1991, which he initially made as a private act, was a turning point in his life and art. In an interview in 2013, he explained that being in the room with her as she died was “profoundly beautiful, profoundly sad, and mysterious beyond belief”. He saw a change in her as the breath left her body and made the triptych as a means of understanding what he had seen. It was the moment that two sides of his life—the films he made of his family, the films he made for galleries—suddenly came together as “two inseparable halves of one creative enterprise”, he said. The piece is on display from this month in a Royal Academy exhibition that puts 12 of Viola’s works alongside 14 drawings by Michelangelo. The link between the two artists is that both ask questions about the nature of the soul, while depicting the human body. 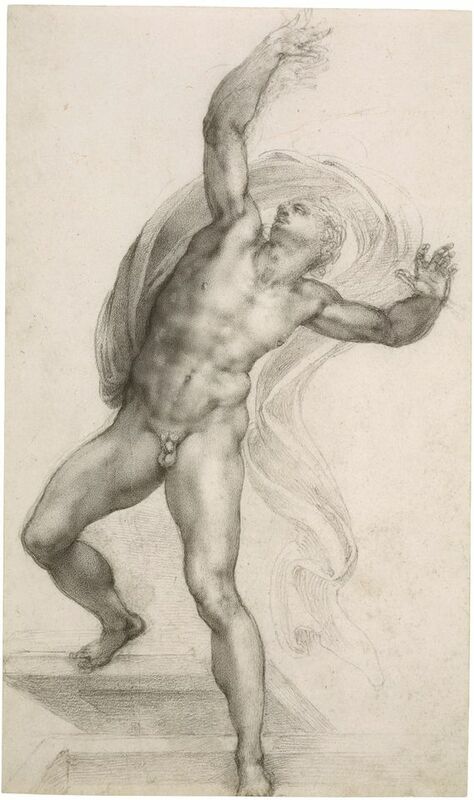 “When we think of Michelangelo now, we think of him as the painter of the Sistine Chapel and the sculptor of huge figures,” says Martin Clayton, the co-curator of the exhibition. “The emotional and spiritual intent of his work has largely left our understanding, yet for him that was the most important thing.” The show does not seek to compare the two artists—or to suggest Viola is a modern Michelangelo. “It is a significant juxtaposition of two artists who may be working 500 years apart but who are exploring similar, perennial issues about the mysteries of human existence,” Clayton says. A little later, Viola began to discuss ideas for a show. “You sense with both artists the notion of rebirth,” says Perov. “There is always resurrection, transformation, transfiguration. They are both asking: ‘What is this life? How am I going to pass through it? And how will I end it?’”. It falls to Perov to talk about the exhibition she has co-curated because Viola, who has suffered from ill health for the past couple of years, is unable to travel. Her knowledge of his work is, in any case, intimate and unrivalled. 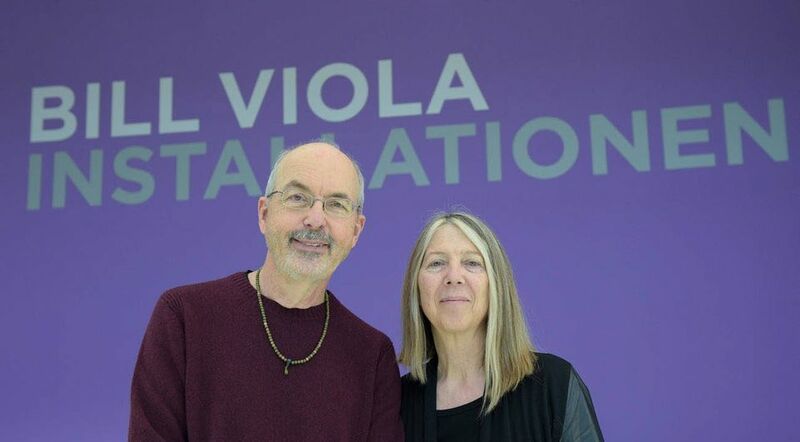 The couple met in 1977 when Perov was the director of cultural activities at La Trobe University in Melbourne and invited Viola over from the US to show in an exhibition of video art. It helped that his father worked for Pan Am, so the flight was free, but even then, Viola was blazing a trail, experimenting with a form that was in its infancy when he first began to make work as a student in the early 1970s. Their romantic involvement began immediately. By the time the international phone calls had racked up huge bills, Perov decided to leave for the US to be by his side. Viola’s subject matter has remained consistent over his career, but the appearance of his work has altered radically, moving from jerky black-and-white to slow-motion, high-definition images that use actors and the elements (principally water and fire) to create emotional, thought-provoking effects. This was partly his response to an ever-evolving technology that enabled him to develop his work and let his imagination fly. Perov points out, for example, that it was the development of flatscreen technology that enabled him to move into close-up portraits such as those in The Passions series (2000-03), quintets of figures in the grip of powerful emotion, reacting in almost imperceptible motion, in a mirror of the contemplative groupings of Old Master paintings, or The Dreamers (2013), where figures are submerged, apparently peacefully sleeping, in water. The spiritual dimension of Viola’s work is there in the making. The intensity and integrity he brings to the pieces communicate themselves to the viewer. Not everyone responds to their overt sincerity. But their power to suggest otherness, to reach for spiritual values without offering answers, makes them unusually compelling. Like the paintings of Mark Rothko, they encourage people to look and to think. An audience survey taken after a Viola retrospective at the Grand Palais in Paris revealed that people stayed in the exhibition for an exceptionally long average of two and a half hours.